Puppet Animation Festival is the UK’s largest performing arts event for children, with a diverse programme of events for children between the ages of 0-12. This programme includes puppet-making and animation workshops, puppet theatre and animated films as well as shows in Gaelic and English, or shows designed specifically for children with complex needs. The next festival will take place from Saturday 25 March – Saturday 17 April 2017 and the Festival are seeking new venues in the Highlands & Islands who would like to host events. Areas that they would particularly like to take the Festival to are: Shetland, Orkney, Caithness, Wester Ross, Easter Ross, the Black Isle, and Inverness. Puppet Animation Festival are currently accepting applications from artists & companies, and will select shows for the festival in late August. They will send a production pack to 200 venues across Scotland in September, and the shows will be listed on Tourbook. Promoters and venues will choose the shows that they would like to host from September to November. Festival tours will be signed off and contracts signed in December. Promoters and venues will promote their performance(s) in February using marketing print, including posters and flyers, supplied by Puppet Animation Scotland. Puppet Animation Festival shows will be on tour in March & April. 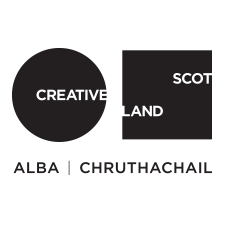 Puppet Animation Scotland aim to ensure that the administrative weight is not placed on the shoulders of the venues and artists. They manage and liaise between the artists and venues providing contracts, tour packs and marketing guidelines and print. Venues and promoters pay, direct to the artist or company, a flat fee for the performance and where required may cover accommodation and some travel costs. Artist’s fees vary between £120 – £650 and films cost between £80 – £100. Venues based in areas of geographical isolation will have travel costs subsidised. Puppet Animation Scotland doesn’t take a split of the box office income, with all ticket sales going directly to the venue or promoter. For first time venues the Festival often provide a fully supported programme of animated films so that promoters can gauge the appetite for this type of work in their area. Read our recent Promoter’s Voice article to find out how Raasay Community Association, first time participants in the 2016 festival, programmed a series of events, providing their audiences with a mini festival in itself! If you are interested in hosting any of the amazing performances Puppet Animation Festival programme, then please keep these dates free in your diary and contact Festival Manager, Jen White.